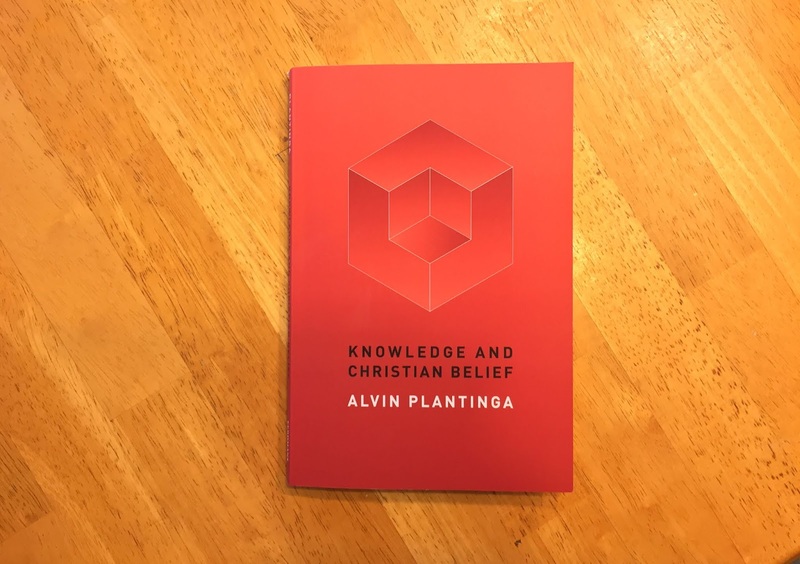 Plantinga, Alvin, Knowledge and Christian Belief. Grand Rapids, Michigan: Wm. B. Eerdmans Publishing Co., 2015. The main topic of this book is a question: Is Christian belief justifiable, reasonable and rational? He begins by professing that God is the all-powerful, all knowing, perfectly good creator of all. The argument ensues that if such a God exist he is beyond our minds to conceive. He then proceeds to say that many concede that there is such a thing as Christian belief but think that it is unjustified. He the divides the objectors into two groups: De facto objectors vs. De jure objectors. The de facto objector claims that Christian belief is false or improbable. For example, “the problem of evil” is a de facto argument against God. The de jure objector says that belief in God is arrogant, unjustified and irrational. He then goes on to argue that the only promising candidate for a de jure objection is Freud’s claim that Christian belief does not have warrant for sufficient knowledge. By showing that the Christian faith does have sufficient knowledge all de jure objections fail. He then presents what he calls the Aquinas/Calvin model to demonstrate that the Christian has sufficient knowledge about God and the gospel to warrant faith. He then deals with objections to this model. Then he spends the last three chapters of the book regarding possible defeaters of the Aquinas/Calvin model: Historical biblical criticism, religious pluralism and the problem of evil. He concludes that none of these are actually defeaters for Christian belief. First, let me say that I really enjoyed reading this book because its logic affirms the conversation that the Lord Jesus Christ had with the Pharisee Nicodemus and the writings of the apostle Paul. I am not saying that Alvin Plantinga is on par with the wisdom of the apostle Paul or what he has written is inspired writing; however, the logic that he uses in this book and the way he explains it in a modern context images the way the apostle Paul wrote to the Romans in their first century Jewish-Gentile church context. He spends the majority of the book arguing that the Christian faith is warranted and the logical argument that he gives is cohesive with the word of God. De facto arguments simply say that there is no proof of God; there are however, several natural arguments for the existence of God: cosmological, contingency and ontological to name a few. But the main focus of this book is regarding the de jure argument that Christian belief lacks warrant. The de jure argument doesn’t argue that your belief is false like the de facto argument but says that your belief is unwarranted because it is without knowledge. Is this a valid argument? In this book Plantinga argues that Christian belief does have warrant because it is a belief that has knowledge. He makes this argument based on a claim made jointly by Thomas Aquinas and John Calvin. Aquinas and Calvin both agree that there is a natural knowledge of God. Calvin takes this further saying that it is a sense like our physical senses: smell, taste, hearing, seeing and feeling. Calvin calls this: “sensus divinitatis” sense of divinity. This sense of divinity has been suppressed in man because of sin; therefore, a new birth is needed. He also says that man has an affective disorder. Man was created in the image of God with an intellect and a will. Sin is a turning of the human will away from God which affects our minds. Therefore, sin is an affective disorder of the human will. We humans have fallen into sin, a grievous condition from which we cannot extricate ourselves. Jesus Christ, both a human being and the divine Son of God, made atonement for our sin by way of his suffering and death, thus making it possible for us to stand in the right relationship to God. The Bible is (among other things) a written communication from God to us human beings, proclaiming this good news. Because of our fallen condition, however, we need more than this information: we also need a change of heart. This is provided by the internal instigation of the Holy Spirit; he both enables us to see the truth of the great things of the gospel and turns our affections in the right direction. From this argument it stands to reason that the Christian belief has warrant. I know it to be true because what Dr. Plantinga describes in this model actually happened to me. I know that the gospel is true because I have been given a change of heart by the internal instigation of the Holy Spirit. Formally my sense of divinity was clouded by my desire for sin. I now see the truth of the great things of the gospel because my affections have turned towards God although I am still tempted by sin. One thing that Plantinga does not address is the level of knowledge that the Christian has. The apostle Paul said, “For now we see in a mirror dimly, but then face to face; now I know in part, but then I will know fully just as I also have been fully known.” (1 Cor 13:12, NASB) I have knowledge of God and the gospel because my affection has changed but sin keeps me from seeing clearly and having full knowledge; nevertheless, my faith is not without knowledge. The caveat that I can see to this model is with regard to the de jure objector; he is not going to except these things unless he has a change of heart by the internal instigation of the Holy Spirit especially if his worldview is modern. 1 University of Notre Dame. 2018. “Alvin Plantinga // Department of Philosophy // University of Notre Dame.” Department of Philosophy. Accessed December 6. https://philosophy.nd.edu/people/emeritus/alvin-plantinga/.